Our next rendezvous reunited us with two French friends in Rostrenen, France. This connection with Antoine and Etienne was serendipitously rekindled because they had Couchsurfed with John in Wyoming last fall. So, in addition to getting to visit some friends, we saved money by Couchsurfing with them, which gave us a free bed and a free place to cook. As always, a gift for our hosts was a no-brainer (we went with, um, whiskey...). Ah, Couchsurfing, what an amazing network for travelers. After arriving, Etienne’s parents were around to help get lunch ready (thank God). His mother must have been some sort of magician, as delicious homemade delicacies kept casually appearing before her to then find themselves floating daintily into my mouth. I can only assume that it was her magic that prevented me from stopping my mouth from eating so much cured pork leg, fresh cow cheese, fermented apple cider, pork rillettes…salted butter...bread...mmmm...butter....yes, magic. Playing the frown game with our Rostrenen friends...I'm not sure what makes it a game, but it's certainly fun? 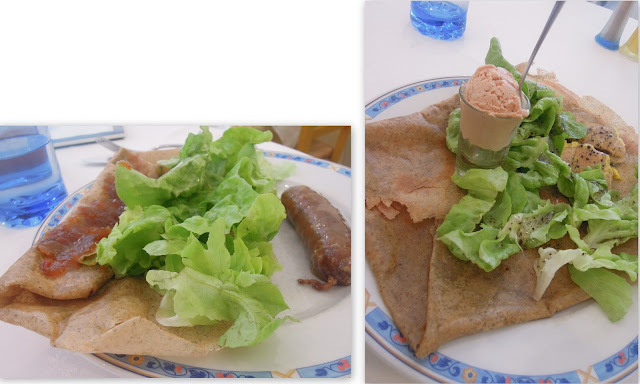 The next morning, we had those things that you're supposed to eat daily if in Brittany: crepes (good recipe here). Do I say that joyfully? Of course I do. I even compiled a quick video for you on some of the crepe-making steps, because we were in the presence of a master, and why not? 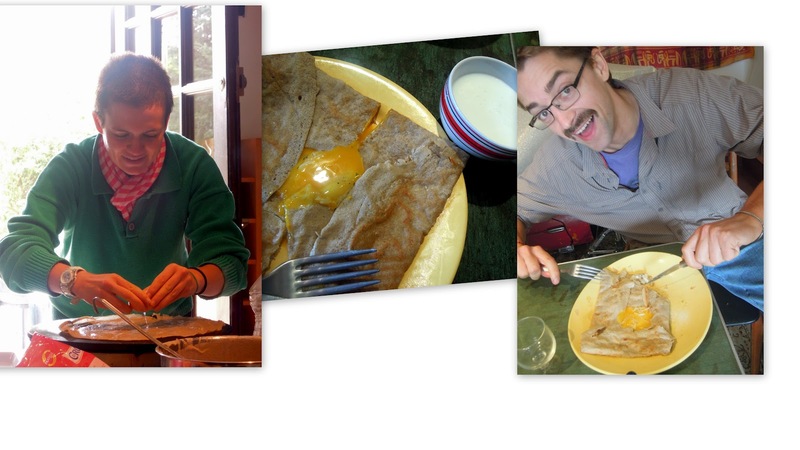 My alter French-boy ego, Pierre, making a crepe, and the finished product with a side of Kefir for dipping--yum! Tagging along to a small local music festival with the guys was the highlight of the weekend (we'll exclude the crepe session for the sake of that sentence), as we got to see Antoine (guitar) and Etienne (bass clarinet) in action. We also watched the crowd get groovy with some typical Brittany folk dancing. A bit of backstory: back when people used plain ol’ earth as the flooring for their house, it was important to get all that land stomped down, so once a house was finished, the owners invited the whole town over to party, eat, dance, and flatten the ground out while they were at it. While the dance strikes me as rather monotonous, the tradition stuck nonetheless. Watch the video and all will be understood. Just try to stay calm, as these moves are preeeeetty racy. We were sad to leave the guys behind after a terribly relaxing weekend of good company (do I mean the food or the people...? 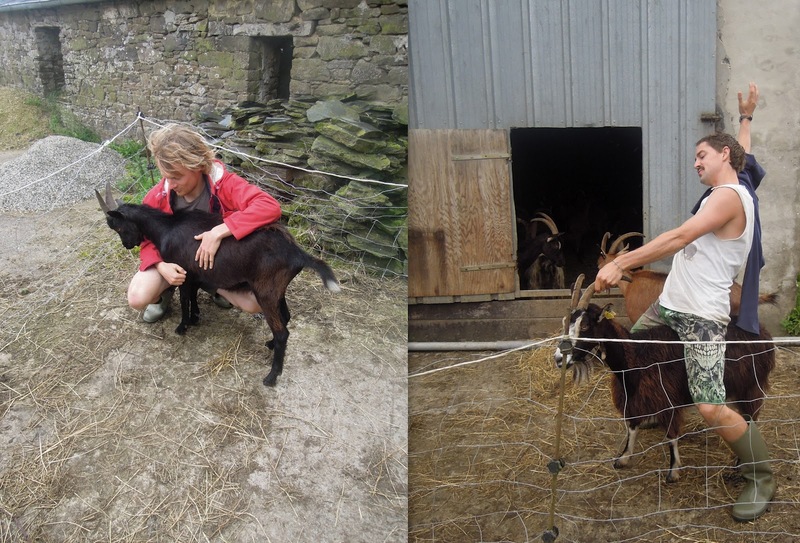 muahaha), but duty called at wwoofing farm number four with Karine and Fred at La Ferme du Forsdoff! I could tell that this farm would be different from the last one when the first night's meal greeted us with home fries, pork chops, and sausage from pork raised on their own farm. Byebye, vegetarians. I will mention, however, that farm #3 and the lack of meat therein did make us realize how much neither of us had actually missed meat. And looking at our finances, it makes sense for us to eat less of it. But it's also something I support from an environmental perspective; a lot of general pollution and water goes into getting food into our bellies, and from an energy (see: oil dependency) standpoint, “our food system consumes 10.3 calories of fossil fuel energy to create 1.4 calories of food energy,” (from the book Fair Food--an amazing read!). So in the areas where it's logical for me to lessen my impact, like meat eating, I'm willing. It makes me a little sad, but there are worse things than not having meat every day. Like, not having cheese every day. Wait, I mean...like not having oxygen everyday. What do you think? Could you do without meat for one day a week? Maybe more? Any must-have vegetarian recipes you want to share? In a not-so-scandalous coup d’etat, our new friend Anne kidnapped us from the farm, Daddy Warbucks style. Her kids had missed us after we parted ways the week before (luckily the only requirement for being liked by a kid is to make funny faces while you fail at communicating with them), so she invited us over Thursday for sight-seeing, dinner, and a sleepover. We stole away that morning, leaving the farm behind with a mild sadness—we would surely miss the fellow volunteers and the goats. The potatoes? Not so much. Thursday’s adventure brought us to Camaret, a lovely coastal town with lots of shops and general touristic things oriented toward fish. It was raining, but you know what? When you're being driven around coastal France for free instead of doing farm work, you take what you can get. 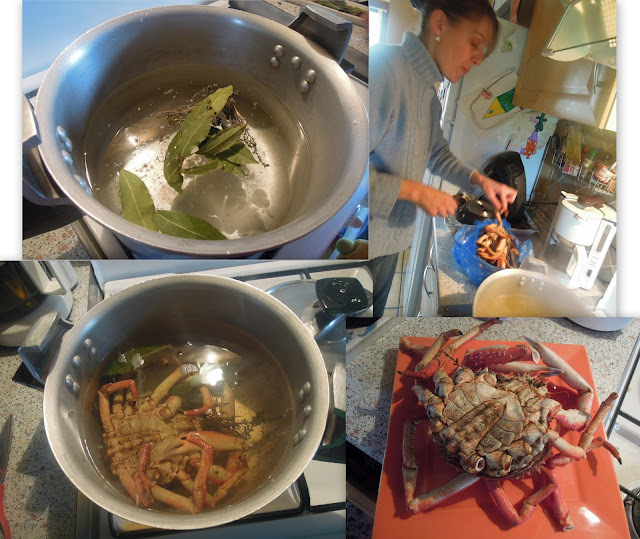 That night, Anne made a locally-caught crab, her daughter Amelie and I made chocolate chip cookies, Yannick made crepes for all, and bedtime brought us to a contented and deep sleep. The next morning, just when you thought Anne couldn’t get any nicer, the woman decided to bring us to our next rendezvous in Rostrenen—an hour away. AND she gave John and me 2 Brittanese-style scarves (with stripes)! I want to point out that all of this began with our simple attempt to speak French with Anne. Sure, our sentences might not have made any sense, but she understood that we were nice people who were open to her culture, and that's how the genial doors to her home were opened. Don't underestimate the power of being culturally aware—a few blundering sentences in a foreign language is sometimes all it takes. But then again, maybe Anne isn’t just one of the “French people”—maaaybe she’s an angel? Kind of a big deal? That's what I call an organ. crepe was sub-par as it lacked enough compote, and my pate,truffle, and pate ice cream (!) crepe was absolutely divine. Last sunset picture, I promise. Maybe. Next stop: visiting Couchsurfing friends in Rostrenen! No farm work! Yippeeee! Now, you don’t think we’d leave Domaine Bio de Kerjean without giving you a proper post on how to make goat cheese, do you? You're in goat world now. There's no turning baaaaaack. Get it? I'll try to cover chevreything here. Learning this skill might be the highlight of the trip so far, because you can bet your boots there is cheese-making/eating in my future. And now I shall be unstoppable. So here’s the process for this farm’s goat cheese: Begin milking the goats at 8am. Combine this fresh milk with what was milked the previous night, add rennet (an agent to help milk quickly coagulate), leave this under a heat lamp to coagulate until the next morning. Now, take what was left to coagulate the day before, and you’ll have a neatly separated mass of curds and whey. Begin scooping the solids (curd) into a mold that will allow the liquids (the whey) to drain away (…awhey?). This mold will drain overnight, and by the next morning you will have a mass of curd (your future wheel of cheese) that is firm enough to be taken out of the mold and left to continue draining and drying. As the cheese dries, it shrinks (think water-logged sponge vs. dry sponge) and flavor intensifies. They can be eaten from day one for a very fresh chevre, or left to age as long as you like for a more brittle and much stronger version. We also flipped the rounds two times a day to maintain an even center of gravity (otherwise you would have a concave wheel as gravity pulled the moisture-heavy curds downward). And voilà! Now eat that goat cheese! Follow the chowgypsy in your inbox for more accounts of farm life! Let’s spend the whole of July in Brittanny, coastal France, because since it’s coastal it will be sunny and warm the entire time! Right? RIGHT!? What was I thinking? Why didn’t I check the weather? The days are melding together into a cold, wet, and clay-like blob of goat milking, cheese making, and sewing. Yes, I said it. I’ve been sewing. Like a good woman should. Stuffing with wool, learning the sewing machine with Fei, and the finished product! Actually, I am laughably terrible at the job, but in my plethora of fingertip-numbing mistakes, I am learning a thing or two about assembling a blanket. So if you get your hands on some wool, I can now make you a blanket that will look acceptably cozy. Speaking of wool, John and fellow volunteers have also been getting their hands in the soft stuff. Unfortunately, that wool has not yet been cleaned. No, that wool has things like poop on it since it is fresh from the shearing. But have no doubt: he and fellow volunteers will have their playtime—poop or no poop. 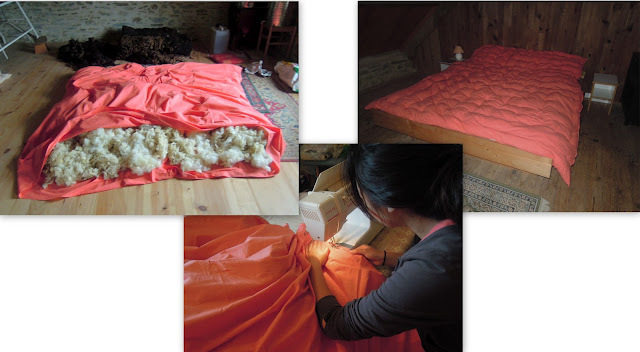 After draping themselves in the mildly poopy wool, they bagged and weighed it, coming out with 330 pounds of sheep hair! Yowza! So, What else have we been doing? And otherwise, much of John's and my free time is consumed with cooking. Zucchini fritters, rice & lentil cakes, pan fried vegetables, potato salad, gnocchi with mint pesto...We're still going strong, despite our kitchen "situation." Each volunteer is allowed one free day per week here at Wwoofing farm Bio de Kerjean, so John and I hopped aboard the rickety bikes and zoomed off to the closest town, Pleyben, last Saturday. First order of business: visit local chocolate factory. Upon entering, we began wildly snatching up chocolate samples and were quickly intercepted by a pretty blonde employee. Although my first reaction was to panic at being caught with a mouth full of samples, I realized that this woman meant no harm. Anne, in her adorable clipped English, asked us about our Wwoofing arrangements and general reasons for being in France. 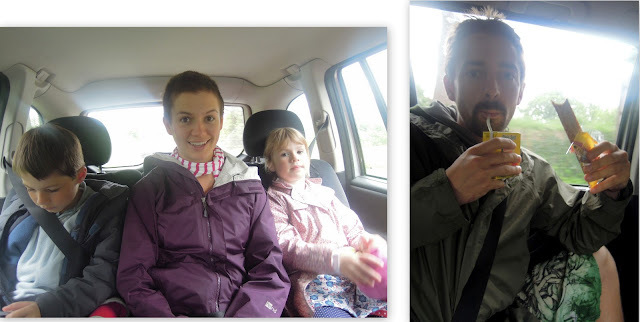 Perhaps she sensed a bit of unrest in my attitude toward the farm, because before we knew it, we were in her car headed back to her house to have lunch with her two kids and her husband, Yannick, who was preparing a lunch of mini “pizzas” with Emmental cheese and BACON. After one week, I thought that I didn’t miss meat very much, but beloved bacon showed up to remind me that I’ll never be free from the world of meat. Since Anne didn’t have to return to work after lunch, we all hopped in the van for an impromptu day trip to Locranon, a 15th-century town that's a part of the Association of the Most Beautiful Villages of France, then onwards to the Pointe de Raz, or the “end of the world,” a dramatic cliff with crashing waves and a breathtaking view of the sea. Standing at the Pointe de Raz with the Julian and Amelie in the pouring rain. Hey, anything to get off the farm. On the right, a rainy picture of the Pointe and its lighthouse. Well, no. You didn’t. 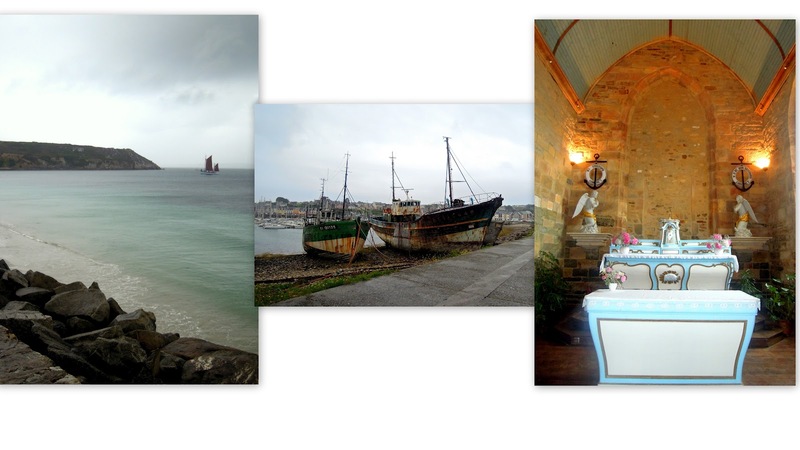 An adorable French family really did descend from the heavens and bring us along on a mini tour of Brittany. And feed us lunch. And give us snacks. Little orphan Americans, rescued for a day. Oh random kindness, how will I ever pay it all forward? John and I being kids again...yes, that's a juice box and a "crepe to-go" that he's holding. We parted ways before dinner, with John and I left dumbstruck and wondering if the day had really happened, or if we had actually just been daydreaming while boiling potatoes. But the day wasn’t over, because a mere two miles away, a country pig roast was taking place! You might suspect that we’ve been a little starved for something more than potatoes, zucchini, and rice, especially the non-vegetarian volunteers. And we were. It’s borderline Lord of the Flies here. But as it turned out, even the vegetarians needed a break. All the volunteers showed up, just to have a night out. There was live music from a traditional “Brittanese” choir (yeah striped shirts and neckerchiefs!) and even Brittanese dancing, which seems to mainly consist of people marching around, holding hands, and stomping every once in a while. Can we say "adorable" in French? Yes, because the word is the same. Once we had eaten everything we possibly could, we grabbed a bottle of wine and began the walk home, whereupon we realized that it was a perfect time to take pictures of ourselves jumping. What caption could actually be worthy of this photo? If you want to see and hear the glorious choir of Brittany and see an example of their dancing skills, watch the quick video below. 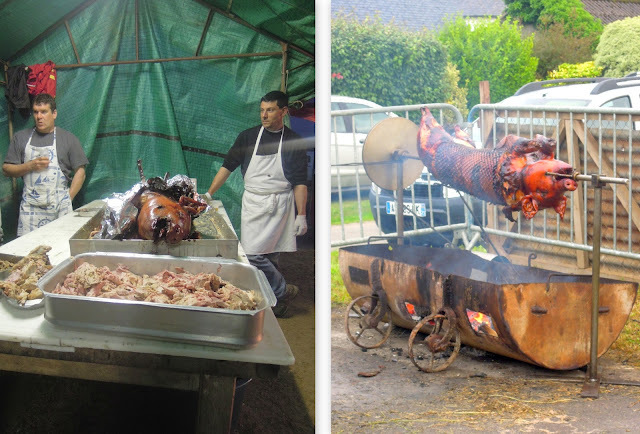 Choose the video on the right to see pig roasting in action. Follow the Chowgypsy in your inbox, click here! Today was brick oven day at our third Wwoofing farm. Due to energy-saving measures, we only use an oven, fueled by wood, once a week. Apart from the 40-plus loaves of bread we made, we made five "pizzas", green bean casserole, and brownies. 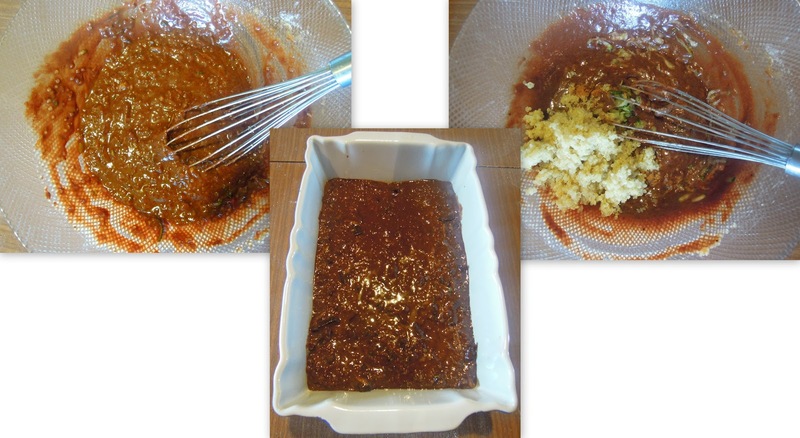 Brownies with healthy things in them (gasp!). And I’m going to say it: Despite being kind of healthy, these babies are distinctively delicious. You could even get away with calling them decadent. I see you raising that doubtful eyebrow, but stop it, you. Don’t doubt the chowgypsy’s creations. The texture of the quinoa, while not overpowering, really is an interesting touch to this super moist and chocolatey addiction. Don’t think, bake. Now…go. there, weigh it down with something, and let it drain for a good hour. Make the quinoa ahead of time. Cook enough for one cup, or go crazy and cook enough for dinner (Eggplant Quinoa Gratin, anyone? ), but be sure to set one cup aside. Ready? Ready. Preheat oven to 350 degrees. Combine dry ingredients, except for sugar and chocolate chips. Mix wet ingredients & sugar in a separate bowl and get a good whisk going, let's say for a minute or so. Now throw the wet into the dry, add quinoa and zucchini, stir, then fold in chocolate chips at the end. Try not to over mix. Put everything in a greased baking dish…let’s say 8x11? Bake for 35-40 minutes, or until a toothpick inserted comes out just barely clean. Let cool 1-2 hours (this keeps them from falling apart later on). Your emotions tell you they're decadent...and yet...they're not so bad for you? Fancy that. And eat that. Do you know you were born without butter? The Savings: Let's be honest, these brownies may be a bit more expensive than others, but that's only because you added health. Might as well add your health expenses into something decadent like this (I'm not sure if that is sound reasoning...). Bulgur would be a cheaper option than quinoa, and it's equally delicious. You can also sub butter for EVOO because it's cheaper, but it sure isn't healthier. What's your opinion of these little guys? Follow more healthy/delicious/cheap recipes and adventures by receiving posts in your inbox!